MoMA PS1 presents the first monographic exhibition of Cathy Wilkes (Irish, b. 1966) in New York. The largest exhibition of the artist’s work to date, Cathy Wilkes features approximately 50 works from public and private collections throughout Europe and North America as well as new pieces created for the show, offering a broad view of Wilkes’s work since 2004. On view from October 22, 2017 through March 11, 2018, the exhibition is organized in conjunction with Wilkes’s receipt of the first Maria Lassnig Prize, awarded by the Maria Lassnig Foundation in 2016. 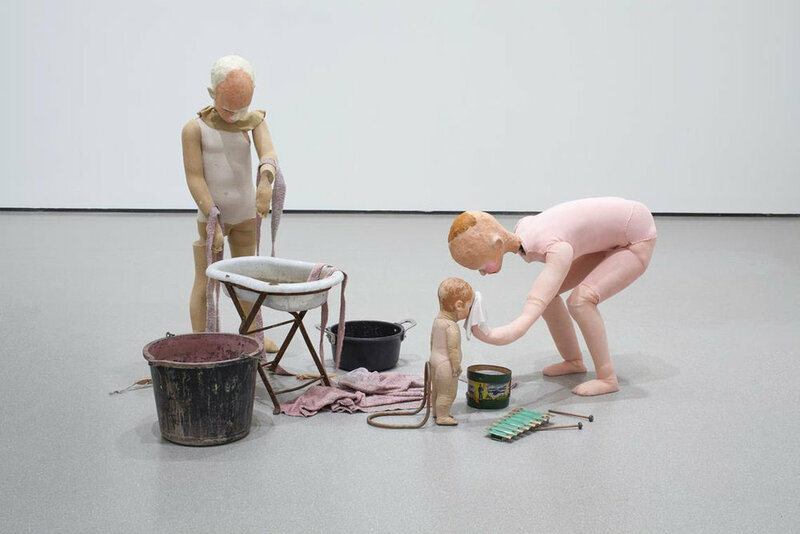 Over more than two decades, Cathy Wilkes has created a body of work that engages with the rituals of life, combining paintings, drawings, sculptures, and objects both found and altered. Regularly employing quotidian products and residual materials drawn from her domestic life and environment in Glasgow, Wilkes’s installations connect the banalities of daily existence to larger archetypes of birth, marriage, child rearing, and death. Wilkes’s individual installations and larger exhibitions are marked by arrangements of objects that appear both precarious and precise, vulnerable and brutal. She often recomposes older pieces into new variations, and has more recently applied a similar approach to the design of her solo exhibitions. Repurposing select elements of extant works and combining them into new installations, Wilkes upends the “retrospective” structure of a mid-career exhibition, confounding experiences of past and present and challenging conventions of art history that would seek to interpret her work in a clear progression. Eschewing the framing or supports typical to exhibition display, Wilkes emphasizes a direct interaction with her work. Visitors are invited to carefully wander among installations whose boundaries are not always obvious, heightening attention to the shifting relationships between various elements in her works.